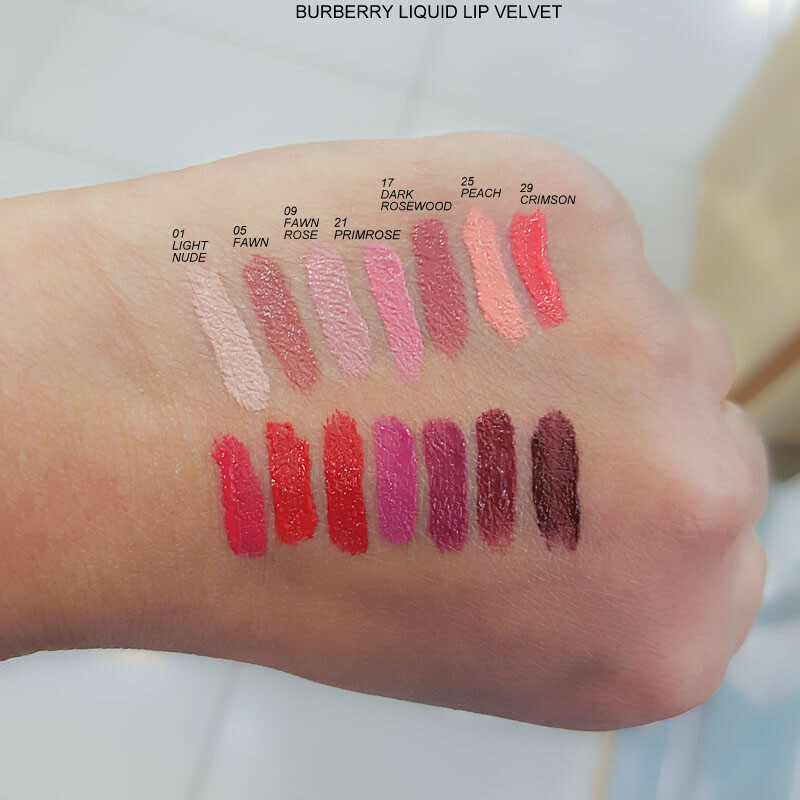 Quite a few brands have hopped on to the matte liquid lipstick trend, and I guess Burberry is the latest (or lastest..considering these will be available only by January 2017). I do prefer this soft velvet matte texture, though, to the true matte look that a lot of matte liquid lipsticks seem to give. The packaging is similar to regular Burberry lip glosses with a see-through tube and a flocked applicator. The formula feels soft and light, almost like a mousse. 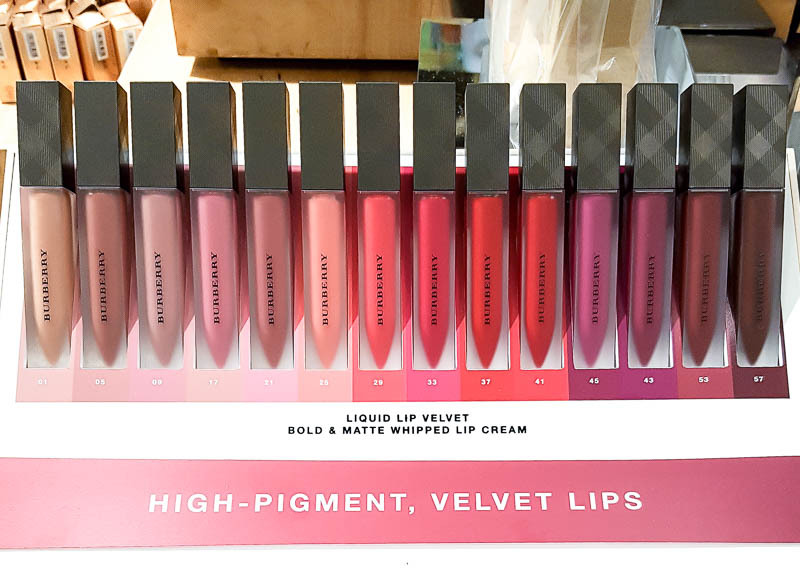 The colors are quite pigmented and opaque, and while there aren't a ton of colors to choose from, there is definitely a shade or two to suit most skin tones and/or preferences. 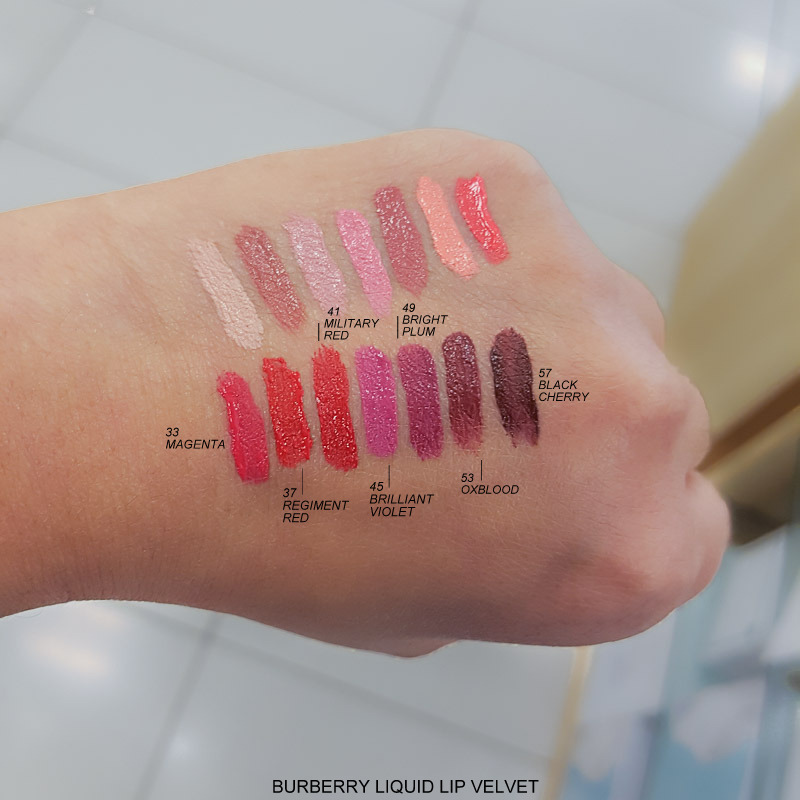 If you are a fan of liquid matte lip colors, then do give the Burberry Liquid Lip Velvets a try. I just subbed to your blog :) Thank you for the swatches. I got 05 Fawn and so excited to try it.